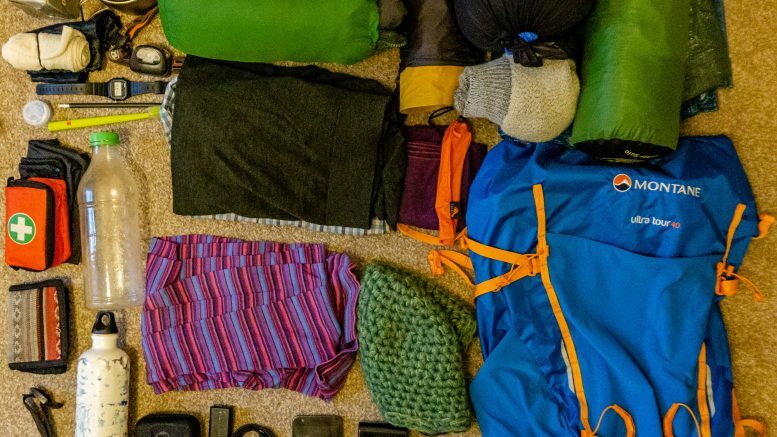 So you’re thinking about walking the West Highland Way and you’re wondering what gear you should take with you. I can’t give you universal advice on what to take but these two questions will be essential in your decision making process. What I can tell you is what gear I took, what I missed and what I would change next time. Hopefully this article will a good starting point for your packing. Also, keep in mind that I hiked the West Highland Way in November. Even though it was close to winter, I had a window of nice weather (understand “no rain” weather) so I don’t think I was carrying something you wouldn’t appreciate in the warmer months. 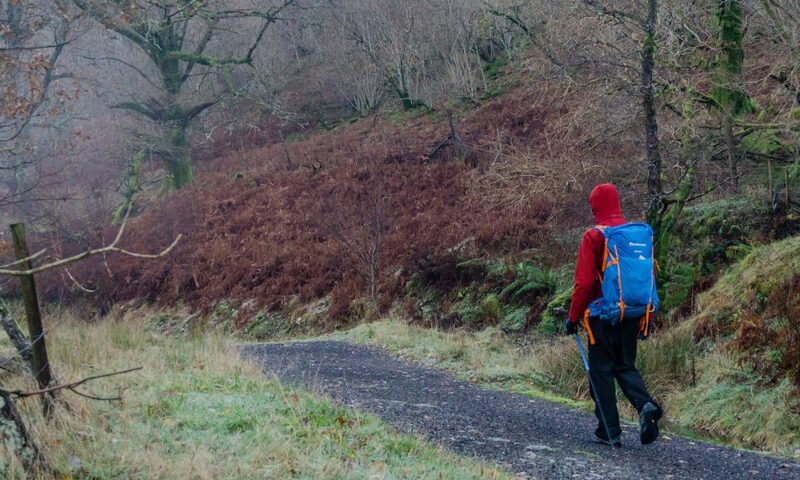 Montane Ultra Tour 40 – A great quality ultralight backpack. 40L turned out to be more than enough for my needs. The issue I faced was closed services along the trail so I had to fit food for 3 days into my backpack. But 40L proved big enough for this and the rest of my gear. 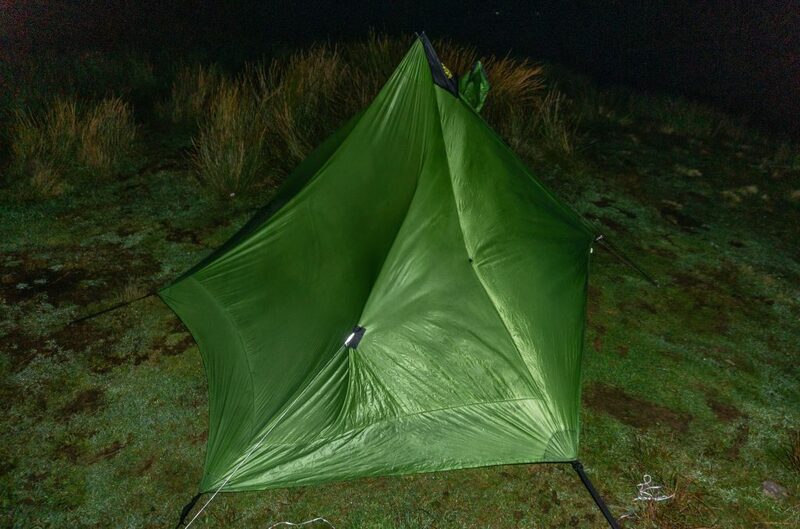 SMD Lunar Solo – Simple, ultralight and reasonably affordable compared to most ultralight tents. It performed well, I just had to pay more attention to where to where I pitched it, aiming for more sheltered spots. Criterion Prime 400 -7°C – A great 3 season sleeping bag, kind of perfect for this kind of hiking experience. Though, if I’d had a warmer one, I would have taken it for this trip. The temperatures were below zero in the mornings and I prefer to be toasty than chilly. Thermarest NeoAir XLite – Since this autumn, this has been a good pal of mine. The weight vs heat ratio is tremendously good. Of course, you could get away with a close cell foam mat, too. But generally speaking, inflatable sleeping mats are warmer than foam mats. Mountain summit 35l dry sack – I didn’t really need this dry bag in the end but I wanted to make sure that my sleeping bag stayed dry as ultralight backpacks aren’t particularly waterproof and a wet down sleeping bag can easily ruin your trip. I was still glad I took it for the insurance and it didn’t add to my weight substantially. Therm-a-Rest Z Seat Cushion Insulated Sitting Pad – This is the first time that I’ve used a seat pad and I absolutely loved it. In Scotland, everything is constantly wet and it’s great to have something comfortable, warm and dry to sit on and have a proper rest. Primus Mimer Stove Duo (Classic Trail Stove) – This wasn’t the best choice to be honest (see my review) as it’s bulky and heavy but without the benefits of a wind shield. I’m a fan of ultralight stoves but they don’t cope with the wind well. If I could choose, I’d go for MSR Windburner or Jetboil Flash Stove. They’re a bit heavier but you can be sure you’ll be able to make it work when you’re out in the elements. MSR Titan Camping Kettle – I bought this pot especially for this hike but from now on I don’t want to use anything else in my cooking but titanium. I love it so much that I started drinking my tea out of it when I’m at home. Light My Fire Original BPA-Free Tritan Spork – It’s simple but it works, even though I have titanium pot I’d go for a titanium spoon as the plastic one is a bit too bendy. Gas Gas Canister 240ml – Sometimes I tent to boil too many teas in the evening but this size was more than enough for me. Merino Top and Merino Leggings – So soft, warm and addictive that I usually put them on in September and take them off in March. You can’t get better than a merino base layer. They keep you warm even when you get a little damp and they don’t smell. Mountain Warehouse Synthetic Jacket – Cheap, warm and it’s not down. I’m a big fan of down but I wish it was a bit more affordable. Also, with a cheap jacket I don’t feel bad about lying on the ground or rushing through a dense forest. I wore the jacket only in the mornings and evenings, otherwise it stayed in my backpack. A warm fleece from a second hand store – no name. Great material and an essential piece of clothing. Kathmandu Gore-Tex Rain Jacket – A good rain jacket is absolutely necessary. It protects you from wind and rain (two buddies that will accompany you all the way through). Rab Neck Tube – I really recommended this piece to everyone. I use it as towel & scarf. I dries out super quickly but still provides enough warmth for your neck. Rab Power Stretch Pro Gloves – Layering gloves from Polartec. Warm enough for autumn, very light and small to pack. Smartwool Socks – If you haven’t worn Smartwool, you won’t get this (I know that the price is a little steep but I would argue that it’s worth it.). Smartwool socks will keep your feet warm, dry, and they last forever. I’ve done about 1000 kilometers in them and they still hold strong. Spare undies & socks – I often wash my socks and undies from the previous day and hang then from my backpack the day after to dry out. Fizan Hiking Poles – Essential for pitching my tent, great for saving my knees, and these are the lightest poles on the market right now. 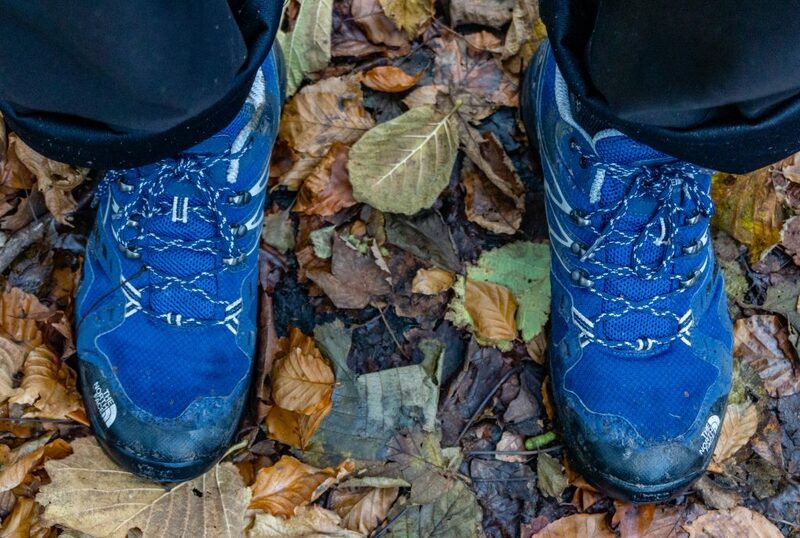 What Shoes Should I Take on the West Highland Way? This is my favorite question about the West Highland Way: What footwear should I wear on the West Highland Way? Hiking boots or sneakers? I believe that trainers/sneakers are safe enough to walk in for this hike. The trail is not technically demanding and high top, heavy duty hiking boots with ankle support would only slow you down. The trail is not really boggy either. I mean it could be wet if it’s raining but if you’ve ever been off trail in Western Scotland and fell into a real Scottish bog where a snorkel is recommended, you’ll consider West Highland bogs to be small puddles not worth jumping over. Also, trainers will make your experience more enjoyable. You’ll hike lighter, faster, and further. Casio Men’s Classic Watch – it’s important to keep an eye on time as the days are very short in November. As I already mention, the Primus Trail Stove I took was quite bulky and heavy. The performance was good but it’s more suitable for family camping than light long distance trails. Next time I wouldn’t take 2 water bottles. 1 water bottle is more than enough; there is plenty of water on every corner. If I had a smaller backpack, I’d take a smaller pack as 40L was quite a lot for me. For my tent, I took Vargo Ti Shepherds titanium pegs. These are very simple, ultralight tent pegs. Great for everything but not Scottish windy highlands. The first night, some of them got pulled out and I only wished I had much stronger V-shaped titanium stakes. I actually bought the V-shaped pegs the night I got back from the West Highland Way. If I had a warmer sleeping, I’d take it. My 400 down sleeping was on the edge – still good enough but I’d rather unzip myself when I get too warm than to put on an extra jacket because I’m a bit chilly. Basically that’s it. Overall, I was pretty happy with what I took and I’d only make small tweaks next time. Just remember that the West Highland Way is quite a simple “camino-like” hike for experienced hikers, but can get really challenging if the weather goes bad or if you’re new to multi-day hiking. Also, what works for me, might not work for you so as usual: doubt, change, test and you’ll be fine. Feel free to comment below if you’ve used any of the gear I’ve mentioned or if you can recommend something better! 2 Comments on "My Gear List For the West Highland Way"
Thank you for the information provided! I am heading for the WHW in April also camping and your list helped me adjust mine. I am mostly worried about being damp all the time and changed my down jacket to a synthetic light one + fleece. The information about the one water bottle is also helpful but what about when reaching camp? Did you find two filled bottles would have been best of water was readily available at camp sites? Hi Roxanne! Good to hear that my list helped you out. Maybe I should write more of these 🙂 It’s good to keep an eye on the weather forecast and be a bit flexible when to walk. I’d rather wake up at 4am and walk through the early morning and spent a rainy afternoon in a pub or a bothy, than to sleep long and get rained on. You can get data connection in almost every village. Campsites often have a printed forecast on an information board. Considering water, I put my tent close to water sources. So let’s say that when I’m walking, it’s getting dark in an hour and I decide to camp. So I start scanning the terrain and try to guess where there’d be a flat, sheltered place with a stream or something I can drink from. It usually doesn’t take me long to come to a suitable place. And yes, I still think 1 water bottle is enough, there is really water everywhere. It’d be hard to find a spot for your tent that’d be further than a minute from a water source.